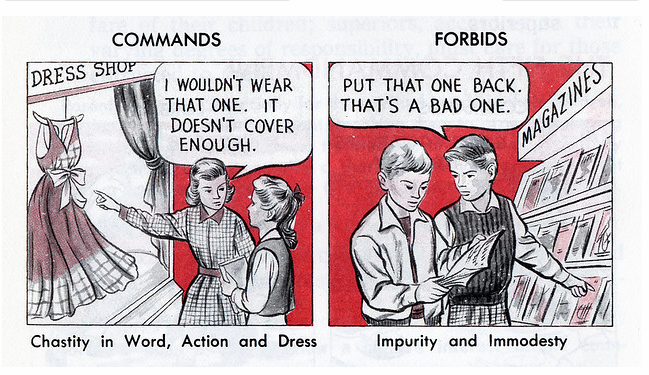 Catholic children in the U.S. used to be taught their faith with the Baltimore Catechism. Here are pics from the illustrated version. There was once much wisdom in Catholicism. What happened? 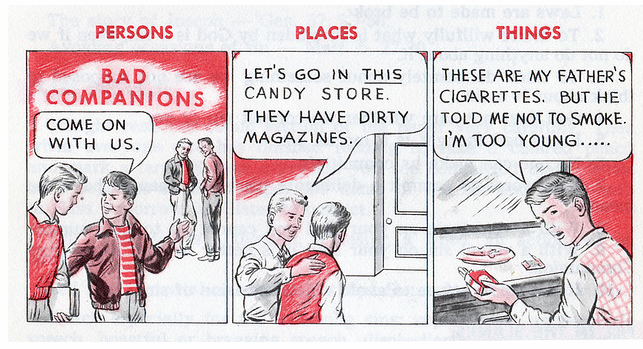 Looking back at old books on morality and manners from the 1950’s and prior, one is shocked at how much America, (and the West in general) has degenerated and declined. America went from “Father knows best” to “Homer Simpson” and “The Family Guy” in little over a generation. Now they want to export such degenerate thinking to the rest of the world. I fully agree with Ibn Issam on this one. The content in this catechism speaks for itself and is a very loud cry in our modern age….when someone actually decides to read this catechism. Anyone who reads my blog knows that I am anti-West and that is because they rejected Godly morality as shown in the catechism and export their depravity to countries who still have some purity. Shame on the West. I don’t reject ‘the West’. It is made up of differing currents and ideologies and peoples. Some good – some bad. Right now, the Western countries in general are having an overall negative effect on the world so therefore I am anti-West. Good ol’ pioneering spirit based on judeo-christian values. Yeehaw.